Is Cucumber Really Good for Your Skin? Home Skin Is Cucumber Really Good for Your Skin? Ahh, the modest cucumber! It sits leniently in the crisp drawer of your refrigerator while the other vegetables are scooped up and served for dinner. This slimming veggie keeps on waiting in its melon-tinged and watery mild manner. It keeps hoping someone would make pickles or maybe mommy will cut the slices round for her exhausted eyes. But apart from this eye treatment and pickles, do you know why cucumber is famous? I have been going gaga over the cucumbers lately. This vegetable is truly a great piece of work. 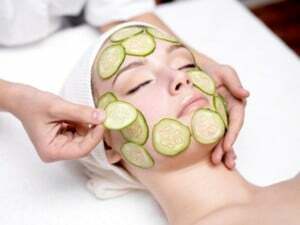 Mainly used in salads, cucumber can also be made into dips and there are so many times it’s proved why it’s one of the best natural treatment regarding beauty tasks. 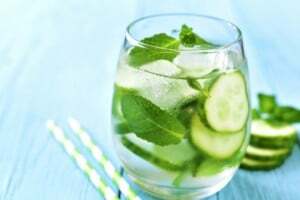 Cucumber’s flesh consists of mostly water, but it does contain caffeic acid and ascorbic acid; which help in soothing the skin irritations, and it also reduces the swelling. Apart from this, these acids stop water retention in the body and that is the reason why we use it for our swollen eyes. Trust me guys; cucumbers are an amazing treat for your skin. You know the fact that the cucumbers have the same pH as our bodies; so they keep our skin hydrated, nourished and restored protective acid. The cucumber skin is full of fibers, and it also consists of many beneficial minerals like potassium, magnesium, and silica. 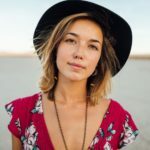 For connective tissues like tendons, muscles, ligaments, bones, and cartilages this silica is very important. If you want a fairer complexion and healthy skin, you should be drinking its juice as the silica source. 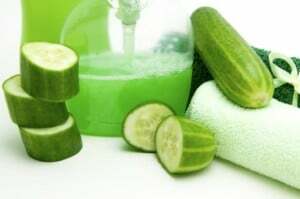 As you already know, cucumber is 95% water, so it keeps the skin naturally hydrated which a must for the glowing skin. Call me old fashioned, but I do love salt baths and the surprising health benefits they bring along. Do you like taking a bath in 35-degree temperature? Not right! So I am very fond of this baths, and I have used this Epsom salt baths, and I think it is the perfect remedy for stress and hot summer day. It is the bath which absorbs cucumbers. You can add few drops of essential oil and fresh mint. According to studies, peppermint reduces skin irritations brought about by poison ivy, hives or poison oak; because it has a cooling and soothing effect. This also reduces the headache symptoms. It is very useful in the depression treatment. So, whenever you feel irritated, itchy, depressed, and hot or you have a headache, you know what to do right? Add 3 cups of Epsom salt to the tub full of tepid water. Add one slice of cucumber and stir in. Add some torn leaves of peppermint. Add few drops of your favorite floral pure essential oil. Soak in, be happy and be soft. This toner works best for all the skin types, and it is mild. Whenever you wake up with a puffy face, you must use this toner because it is very calming and it tightens your skin as well. Peel and chop half of the cucumber. Add two tablespoons of distilled water. Put all the ingredients in the food processor and blend it till it becomes smooth. Take the fine-mesh sieve and pour this mixture into it, so that all the solids are removed. Now, pour this toner into the clean bottle which has a tight lid. If you want long shelf life, then store it in the refrigerator; it would last for the several weeks. 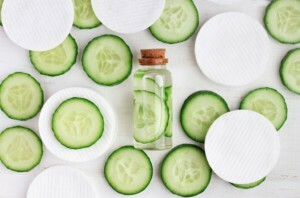 Take a cotton ball and apply the cucumber toner with the help of it on your face. Ta da, your face is all fresh and healthy. This is the trick we have been using for a long time, and it is the oldest one. The outer skin of our eyes needs hydration, and the water content in the cucumber keeps it hydrated. 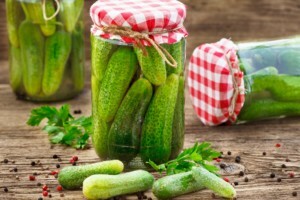 If you use chilled cucumbers, then it contracts blood vessels in that area, and the combined effect of both is that it helps reduce the swelling. Take out a chilled cucumber from your refrigerator and cut it into two big fat slices. Find the place where you can relax comfortably and set this cucumber slices over closed eyes of yours. Let these slices rest on your eyes for about 15 to 20 minutes. I like grated cucumber as well. You can use it instead of slices. 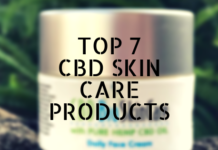 Do you have a combination skin? Don’t worry. Here I am with the solution. 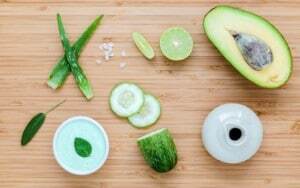 This yogurt & cucumber mask is just perfect for people having this kind of skin. Take half of this veggie. Take about one tablespoon of natural/plain yogurt. Put its pieces in the blender and puree it. Add up the yogurt and mix it well. Apply this mixture all over your face and on the neck. Relax for about 15-20 minutes. Rinse this mask off with the warm water; followed by the splash of chilled water. Yes, I know you are thinking is this mask only for combination skin? The answer is NO. 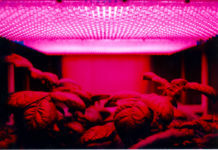 It is used for all skin type, but it is more beneficial for the people having combination skin. 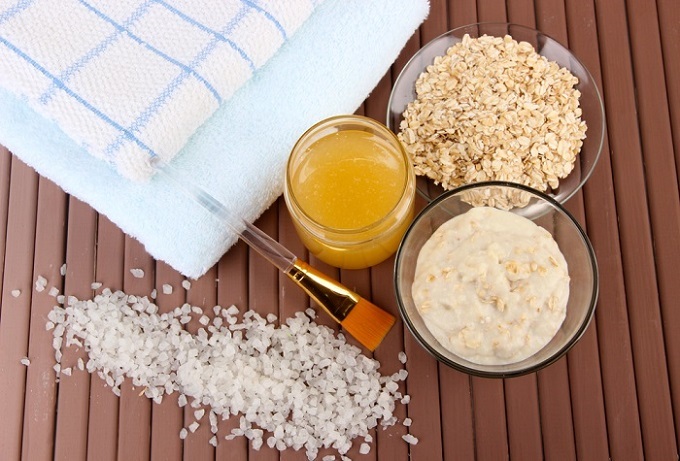 This remedy is very simple and easy, yet sumptuous treat your face will have. Take half cup of chopped cucumber. Take half cup of chopped avocado. Take two teaspoons of powdered milk. Blend all these ingredients together to make a smooth, consistent paste. You can use this mask right after blending, or you can put it in the refrigerator for like half an hour. Take two tablespoons of this mask and apply it all over your face and neck using the upward circular motion. Relax for the next 30 minutes or until the mask gets dried off. Rinse this mask off with warm water; followed by the cold water splash. Pat it dry with the towel. This mask will leave your face so fresh and your skin so happy trust me. Take chunked cucumber of 1-inch. Take one drop of rosemary flavored essential oil. Whizz its chunks until they become proper liquid. Now add one drop of rosemary flavored essential oil. Take the egg white and whisk it until stiff. Fold in the paste and smooth it over your face. Avoid the mouth and eyes area. 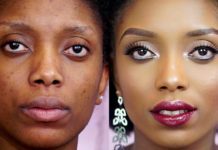 Remove this mask after 15- 20 minutes with the help of a damp, clean washcloth. If your routine includes swimming and your hair is damaged by the chlorine water; then this conditioner is your savior. 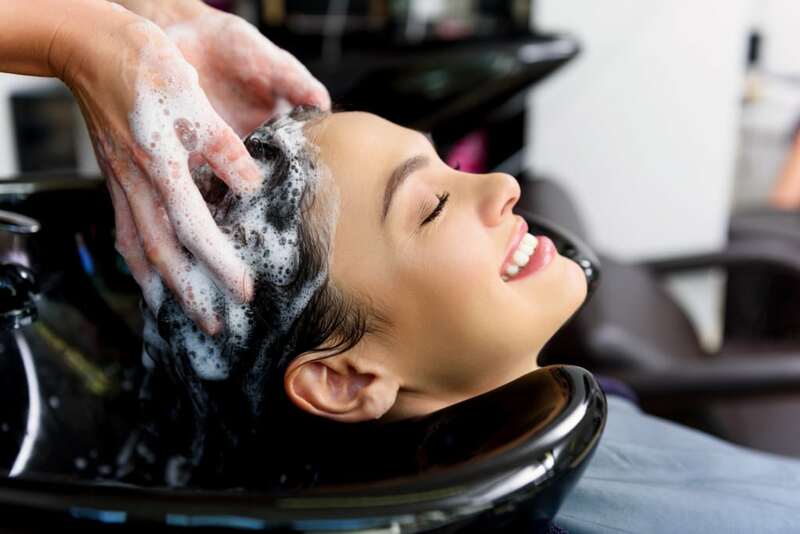 This conditioner works wonder on the chlorine-damaged hair. Take one tablespoon of olive oil. Take one-quarter of peeled cucumber. Blend the peeled cucumber, olive oil, and egg. Spread this evenly through the hair. Leave it on for the 10 minutes and rinse it off thoroughly. For the best result at the end of the year, continue applying this conditioner every month. Have you ever thought of using honey with this magical vegetable? Well if you haven’t, then it‘s time you do think about it. 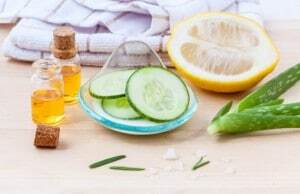 Yes, you can mix honey with the cucumber and make a toner, which will make your skin feel fresh and soft. Take one medium size cucumber. Peel it off and cut it up into pieces. Blend this veggie and puree it. Take the cheesecloth to line up a sieve. Set this sieve over measuring cup or glass bowl. Pour this puree through the sieve and wait for the 15 minutes so that all juice drip into the cup or bowl. Pour this clear juice in a clean bottle and then add two teaspoons of honey to it. Shake this bottle well and to use it take clean cotton ball; saturate the lotion. Apply it over neck, face, and chest every night and morning. Let it dry for 3-4 minutes. Make this simple tonic to refresh your skin like never before. Take one cucumber and chop it off. Take 4 to 5 mint leaves. Blend it and mint leaves to make a puree. This tonic can be stored for 24 hours. To increase the life of this tonic, add one teaspoon of vodka to it. Apart from the skin benefits, there are many other benefits this vegetable offers. You know there is a reason why you should be eating cucumbers all year. With vitamin B, vitamin K, magnesium, copper, and manganese; it helps you avoid the nutrient deficiencies. 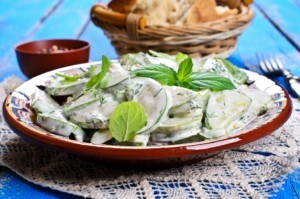 Apart from this, cucumber contains some unique polyphenols, which reduce the risk of diseases. Protects your Brain: Cucumber consists of anti-inflammatory flavonoids called as fisetin which seems to be an important part of brain health. This fisetin helps improve the memory and protects nerve cells. Beneficial for Bone Health: If your vitamin K intake is low; then it increases the risk of bone fracture. Adequate consumption of vitamin K is achieved by in taking the proper amount of vegetables and fruits. 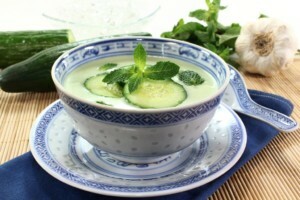 One glass of cucumber juice gives almost 11% vitamin K of your daily requirement. 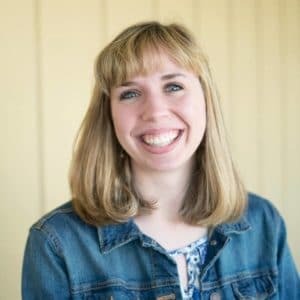 Freshen Up your Breath: Suffering from mouth odor? Try placing a slice on the roof of the mouth and get rid of the bacteria causing odor. You know the reason of bad breath? It’s the excessive heat inside your stomach. Eating it also helps you reduce that heat in the stomach. Maintains your Weight: As you already know, cucumber is low in calories, and still, it makes a complete, filling It has soluble fiber in it, which keeps you feel full for a long time, and that is the reason why food rich in fibers is used to maintain weight. Reduce Stress: It is consists of multiple vitamins B like (biotin) vitamin B7, vitamin B5 and Vitamin B1. These vitamins are famous for reducing the anxious feelings. 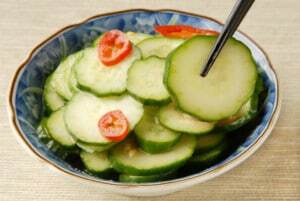 How to include Ample Cucumber in your Daily Diet Plan? The preparation period is quite speedy. Get some other veggies like carrots, zucchini or cauliflower and add them up with the cucumber. They will make the wonderful pickles. After they are picked, they can be stored for like three months in the refrigerator. Yes, you can add cucumber to tossed salads, but it would be great if you eat its dedicated salad instead. I love making chopped salads with the base of chopped cucumbers and mix it up with whatever I have leftover, and produce salad. How about pear, cucumber, and jicama? Yum! So, now you know that cucumber has beauty advantages for hair, eyes, and skin. But to really get the best and safest performance out of your veggie, it’s best if you use the clean cucumbers you’ve grown in your organic garden. That way, you can be totally relieved that no pesticide can harm your health. 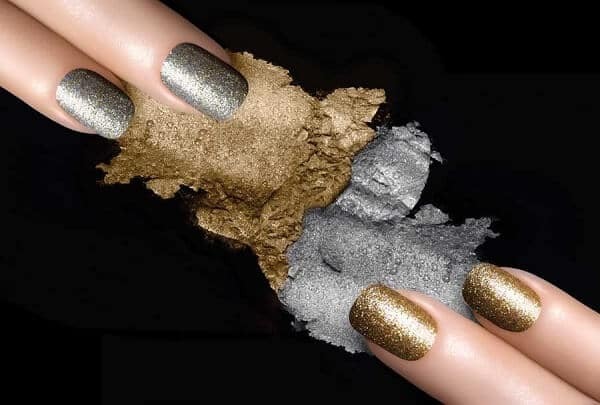 Do you have any beauty regimes or recipes to share? I know you do, right! Let us know by commenting in the below comment section.